In the past three decades, personal pets have taken an elevated position in the average American household. Fortunately, advances in veterinary medicine have resulted in a significantly improved quality and quantity of life for our pets over this same time. Having pet health insurance can help bridge the gap between the expenses you expect to incur (wellness exams, vaccines, heartworm prevention) and what unexpected circumstances may arise, particularly as a pet ages. As pet owners, we don’t want to think about the possibility of our beloved, four-legged family member falling ill; however, we are all living beings, prone to injury and illness under certain conditions. Let’s face the fact that life is a terminal illness for all of us, our pets included. As humans, some of us experience health issues earlier in life and others later: genetics play a role, as does diet, environment, proactive health care, and just plain luck. Our pets are no different. Imagine that your cherished pet falls ill and you decide that a visit to your veterinarian is in order. Spot’s clinical signs are vague and don’t fit with any obvious ailment. Your veterinarian recommends that diagnostic testing is needed to gather more information to help obtain a diagnosis and guide a treatment plan. After completing those tests and procedures, your veterinarian is able to give you a diagnosis for Spot’s condition. Treating the condition entails a couple of injections that will help relieve your pet’s suffering. Additionally, Spot will need medications that you will administer at home. You are grateful and relieved that Spot will be on the mend soon, but while waiting for the treatments to be completed, it crosses your mind that it would have been nice to have the costs of the visit covered by pet insurance. *Rover escapes from the yard and has a run in with an automobile resulting in serious injuries that require immediate stabilization and surgery. *Fluffy gets in yet another tangle at the dog park resulting in a laceration that requires sutures. *Sam, your older kitty, has been drinking more water and after visiting your veterinarian, you now face the seemingly daunting task of learning about Diabetes, insulin injections, and how to help Sam age gracefully in the face of a common, chronic disease. All of these ailments are routine in veterinary medicine, can happen to any pet, at any time, and share the common denominator of an unexpected expense. Pet insurance can help to eliminate the unfortunate position of not being able to afford to diagnose or treat an illness, or only being able to elect some of the treatment recommendations due to finances, which can potentially compromise your pet’s full recovery and future health. There are numerous pet health insurance companies, and as in human medicine, not all plans are created equal. All plans require a deductible, will pay a portion of the total bill, and have an annual reimbursement cap (which is rarely met). The similarities stop there and the policies can be difficult to compare. 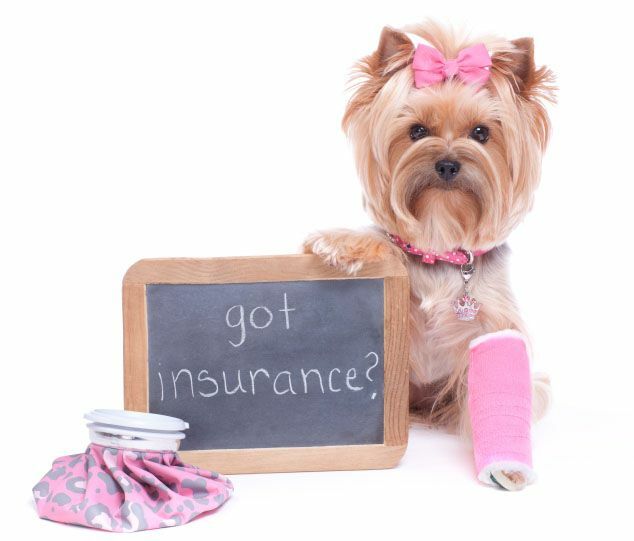 For a basic understanding of pet health insurance, customer reviews and outlines of some basic plans, visit PetInsuranceReview.com. There are many other online resources to help guide you through the maze of options. Here at Southpoint Animal Hospital, we have received high marks from clients who have used the following companies: Embrace, Trupanion, VPI, and Healthy Paw Pet Insurance. By no means is this an all-inclusive list or a recommendation specifically from us. If you currently have pet health insurance and have had great experiences with the provider, please let us know about it by emailing info@southpointpets.com. Are the policies and information provided easy to understand? Were you able to quickly contact the company? Were their customer service representatives friendly and helpful? Are their customer service hours reasonable? What kind of care is excluded or limited? Dentistry? Cancer? Hereditary and congenital diseases? Are pre-existing conditions covered? How is a pre-existing condition defined? If my pet is diagnosed with a chronic illness in one year, is it considered pre-existing the next year and no longer covered? Are there limits per incident? Per year? Per lifetime? Per body system? What are those limits, specifically? Are there policies that encompass annual exams and wellness services? Are there policies available that only cover illness and injury, excluding annual wellness services? Can you choose a deductible? Is the deductible per incident or annual? Can you elect to change your deductible in the following year? Is there co-insurance in addition to the deductible? Is there a maximum out of pocket per year? What is the maximum age of enrollment? Can you see any veterinarian you want? What happens to coverage and premiums as your pet gets older? Can the company provide any data on their policyholders, as a group, on premium increases over time? What other data can the company provide regarding rates, claims, owner out of pocket costs, etc. How quickly are claims processed and paid? Are there reasons why a policy might be declined for renewal? In summary, having pet insurance provides you with financial peace of mind when it comes to making decisions about your pet’s healthcare. Regular wellness visits, a healthy lifestyle, a lean body weight, a clean mouth, and proactive lab work are your pet’s most important defenses against illness and injury. ; however, expect the unexpected and rest assured that a pet insurance policy can help you through the tough times of illness and injury.